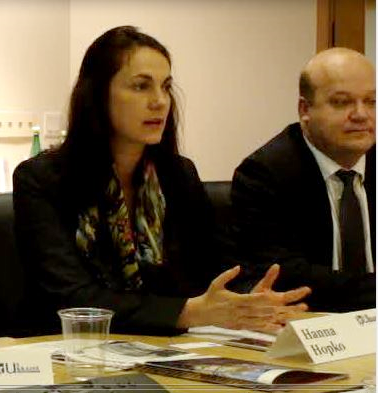 The U.S.-Ukraine Foundation held the third in a series of roundtables devoted to Building Consensus for Priorities in U.S. Assistance for Ukraine on April 26, 2017. The roundtable was devoted to identifying priorities in assistance for the humanitarian crisis caused by Putin's ongoing war in Ukraine. Participants, many of whom shared information about their humanitarian efforts in Ukraine, included: Dawn Calabia (Senior Advisor at Refugees International), Jonathan Katz (German Marshall Fund and former Deputy Assistant Administrator for Europe and Eurasia at USAID), Marina Baydyuk (United Help Ukraine), Natalia Shyrba (Vice President of Razom), Tanya Shea (People of Ukraine Foundation). Basma Alloush (Norwegian Refugee Council USA), Melanie Nezer (Vice President, HIAS - affiliate of Right to Protection, Ukraine), Alex Kuzma (Chief Development Officer of the Ukrainian Catholic Education Foundation and former Executive Director of Children of Chornobyl) and Nadia K. McConnell (President, US-Ukraine Foundation). The roundtable was preceded by a remembrance of the Chornobyl disaster, focusing on the Soviet cover up of the tragedy and the ensuing humanitarian crisis, as well lessons learned from assistance programs in that period that might be applicable today. Valeriy Chaly, Ukraine's Ambassador to the USA, also addressed the gathering. The event, which was held at the new offices of the U.S.-Ukraine Foundation, was also attended by a number of visiting Ukrainian members of parliament: Hanna Hopko (Chairperson, Foreign Affairs Committee), Nataliya Katser-Buchkovska(Chairperson of the Subcommittee on Sustainable Development, Strategy and Investments), and Yevhen Rybchynsky (Committee on Veterans, Combatants, Anti-Terrorist-Operation Participants and Disabled People). Several members of the Parliament of Lithuania also participated. The fourth in the series of USUF roundtables on establishing priorities for U.S. assistance to Ukraine will be held on May 17th. 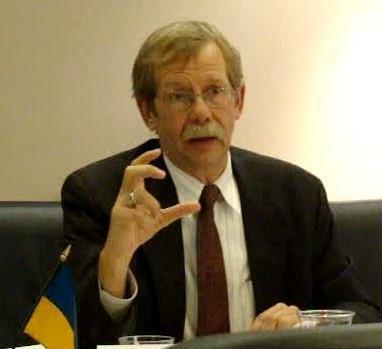 That discussion will be devoted to U.S. assistance in support of Democracy and Civil Society Development in Ukraine, including educational exchanges and media development.